Teeth is one of most important part in human body. We are all know that eating habits of people has changed lot. Everyone are going behind food stuffs. Everyone are busy and had no time for caring teeth. Dental examination is necessary that keeps your teeth healthier and stronger. Everyone like to have white teeth, when an important occasion like wedding day all of them make sure that they are best. We sometimes are irritated by the tooth pain caused. We have to care our oral health by giving priority for our dental Problems. We can definitely need help of a best dentist. If we keep better oral hygiene, then it keeps away from dental problems. PSA Varadarajan dental Clinic in Salem is well known for provides best oral health care services from routine checkups and cleanings to fitting braces and treating dental problems at low cost. PSA Varadarajan Dental Clinic make a unique approach in dental care. Dr. P. Suresh Kannan is the Best Dental Surgeon in Tamil Nadu. 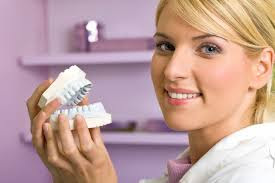 We offer Dental Treatments in affordable cost. We gives an opportunity of free consultation for 2 years after your first registration just 100 Rs in Our Dental Clinic. We offer treatments in Conservative Tooth Fillings, Dental Crowns, Bridges, Dental Implants, Misaligned Teeth Correction, Dentures, Conservative Tooth Fillings, Orthodontics, Root Canal, Braces, Orthodontics, Scaling and Prophylaxis. We are providing advanced treatment and surgical facilities for our patients. We delivers advanced and quality services under the supervision of skilled doctors and expert surgeons. We ensure once you take treatment under PSA Varadarajan Dental Clinic you will never forget our services in caring you and your family. People staying near Gugai can easily reach in Our Dental Clinic for the consultation with best Dentist in Tamil Nadu. Awesome – that’s what I was looking for ;) Keep up the great work!